I did eventually manage to find a recipe which wasn’t extraordinarily luxurious — at least as far as calories were concerned, the flavor and texture were still completely indulgent — and, although I had to exclude the deep fried beef element, it knocked my socks off. Turnips are one of my favorite vegetables. Not only are they beautiful, with shades of white, green and purple, but I love their bitterness and their hidden sweetness which needs to be gently coaxed from them. 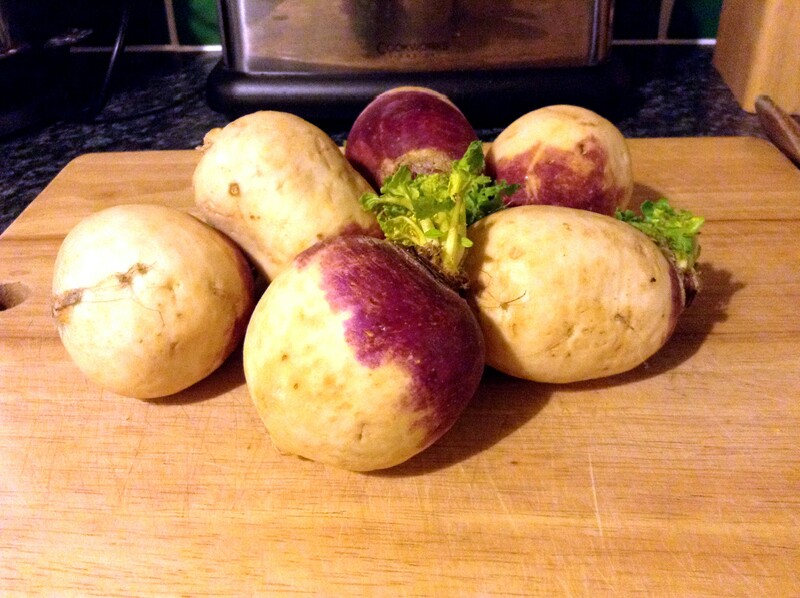 Mr Kerridge is no rookie though, he knows just what to do to turn the humble turnip into velvet, to give it layers of flavor you didn’t think possible, how to make a turnip completely and utterly ‘lush’. And he knows how to do it in about half an hour. 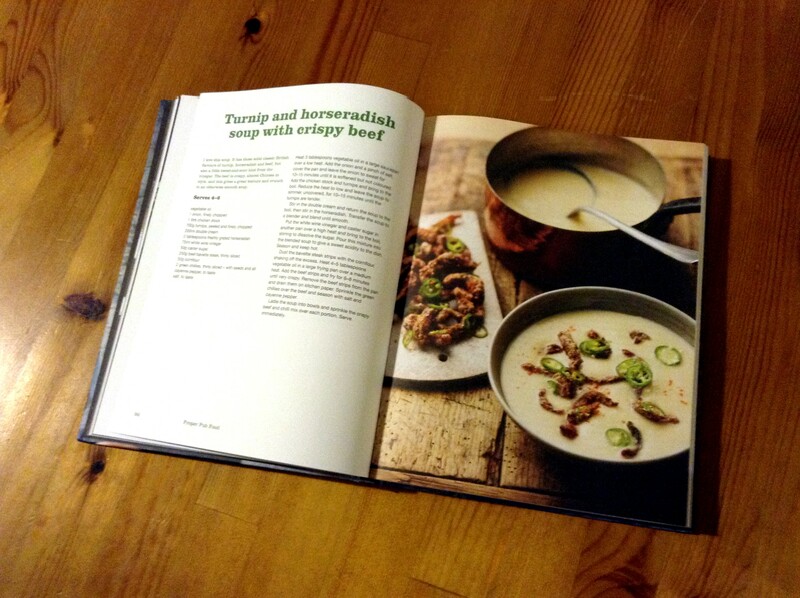 Besides replacing the beef with some crispy shallots, turnip tops and rosemary for crunch, I didn’t change a thing in the soup recipe — so you’ll just have to buy the book! 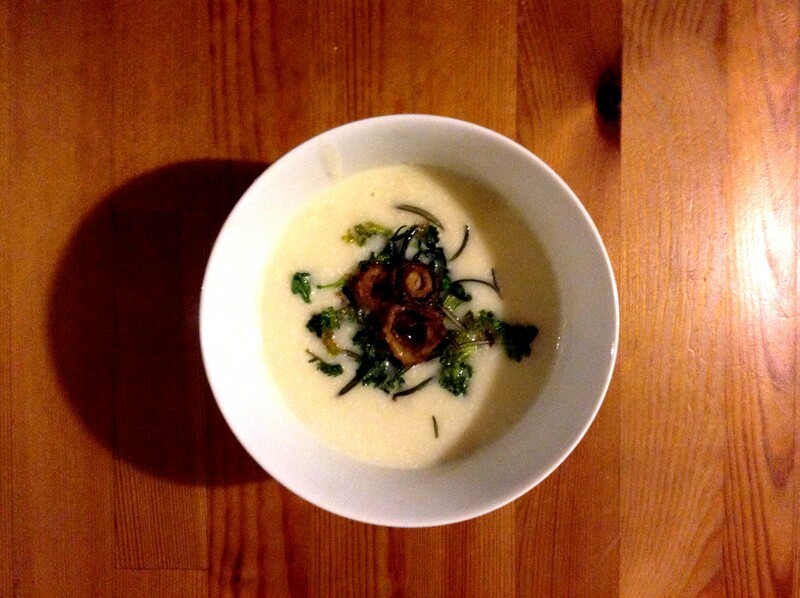 But I can tell you that it’s not complicated; it’s simply onions, turnips, stock and cream. There is a secret ingredient though, well it’s not so secret I guess, it’s in the title: horseradish. 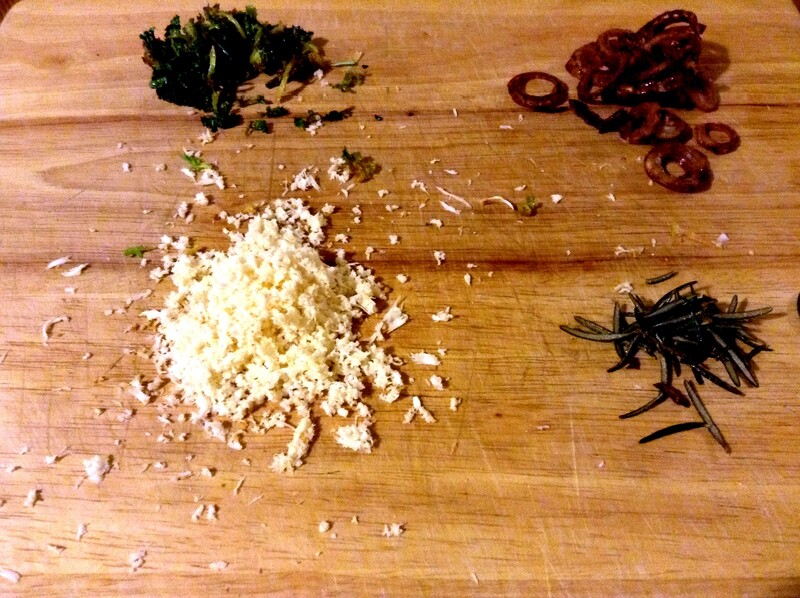 The fresh stuff, grated with a fair bit of elbow grease, seems to have a much subtler flavor than the jarred variety. If you added three tablespoons of jarred horseradish to a pot of soup, it’s fair to say that’s pretty much what your soup would taste like. Here, though, it’s subtle bite and it’s earthiness lifts the cream and the velvety turnips, stopping this soup from being too much like eating a big bowl of creamy purée and bringing out the pepperiness of the turnips themselves. There was something else I found slightly surprising in the recipe too: a vinegar sugar syrup added at the last minute. I wouldn’t say it’s entirely necessary, but it did bring out that hidden sweetness in the turnips and, for those that are not big on bitterness, it probably gave an overall more balanced flavor. I liked it with and without, so maybe just taste it before pouring it in and decide. This is a soup I could eat a whole bowl of, night after night. In fact, I made a big pot to have for my lunch all this week. If you love turnips, you need to make it. If you don’t love turnips, well, you need to make it too. And if anyone asks you why, the answer is simple: because it’s proper lush. It looked amazing when he did it on tv! Such a pretty bowl of soup! Ohh what a great Christmas gift! Nice addition of rosemary. Horseradish, eh…I’m willing to try it. Speechless. I’ve never heard of using horseradish as a vegetable. Thanks for the lesson. Note to the wise: I think the strength grows while it sits around. I was weeping while grating it for the second batch!